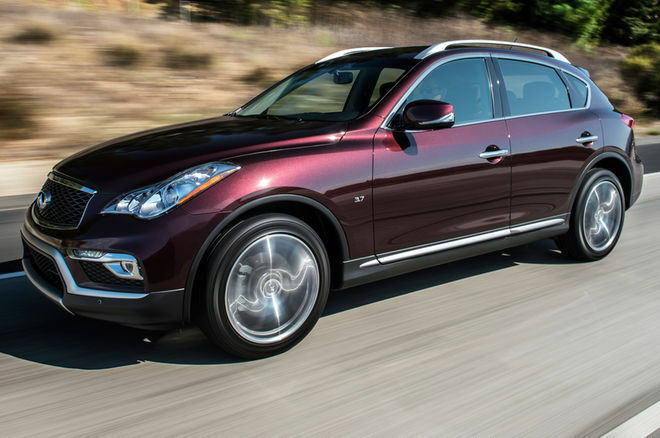 The 2017 Infiniti QX50 is back for one more year before a new generation is introduced in 2018. We already covered the upcoming 2018 QX50, and now we want to focus on the current model, because ultimately it has a lot to offer still, and it is also more affordable than ever. The 2017 Infiniti QX50 is a different kind of compact sport utility vehicle. It puts driving pleasure first, performance second, and efficiency third. It then combines all of that with a beautiful and spacious cabin that isn’t like anything you find in German automaker’s showroom. Let’s take a closer look. 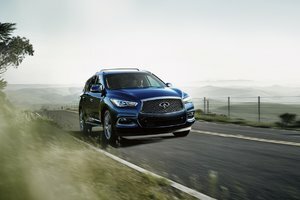 The 2017 Infiniti QX50 offers buyers all the performance they could ever want in a compact luxury sport utility vehicle, and then some. Offered starting at $41,010, the 2017 Infiniti QX50 is powered by a 3.7-liter V6 engine that delivers 325 horsepower and 267 lb.-ft. of torque. Paired with a seven-speed automatic, this engine reaches 100 km/h in just 6.2 seconds, making it one of the fastest models in its segment. Think about it, how many compact luxury vehicles have 325 horsepower? Not many, and certainly none in this price range. Oh, and all-wheel drive is standard at that price while more often than not it comes with an extra charge with other models in this segment. 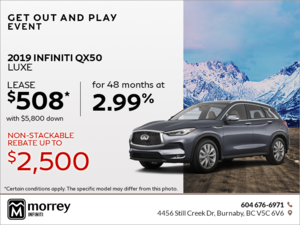 The 2017 Infiniti QX50 comes standard with a host of features including heated leather seats, power sunroof, 18-inch tires, an intelligent key system with push-button start, a rear-view monitor, Bluetooth, and a lot more. If that’s not enough, you can add the Premium package which features 19-inch wheels, a Bose 11-speaker premium audio system, maple interior accents, and HID headlights. You can also add the navigation system which also features streaming audio via Bluetooth. 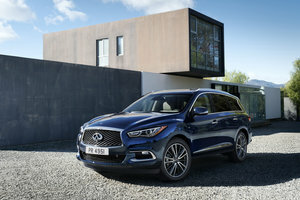 Inside the 2017 Infiniti QX50, owners will find a modern cockpit, high-quality materials, and a spacious trunk that can accommodate more than 500 liters with all seats in place. On the road, the 2017 QX50 seems connected to your brain, and the steering wheel reacts to every input with precision and finesse. This is a great compact luxury sport utility vehicle to drive on a winding road, but you can also enjoy it on the highway or in the city thanks to its impressive interior quietness, and its comfortable suspension. 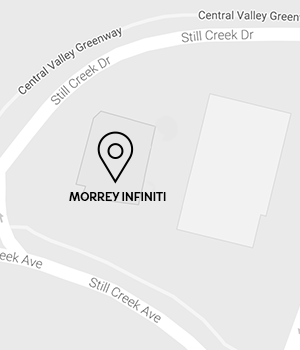 To learn more about the 2017 Infiniti QX50, contact us today at Morrey Infiniti!